Starbucks new Summer drinks, available starting April 9. 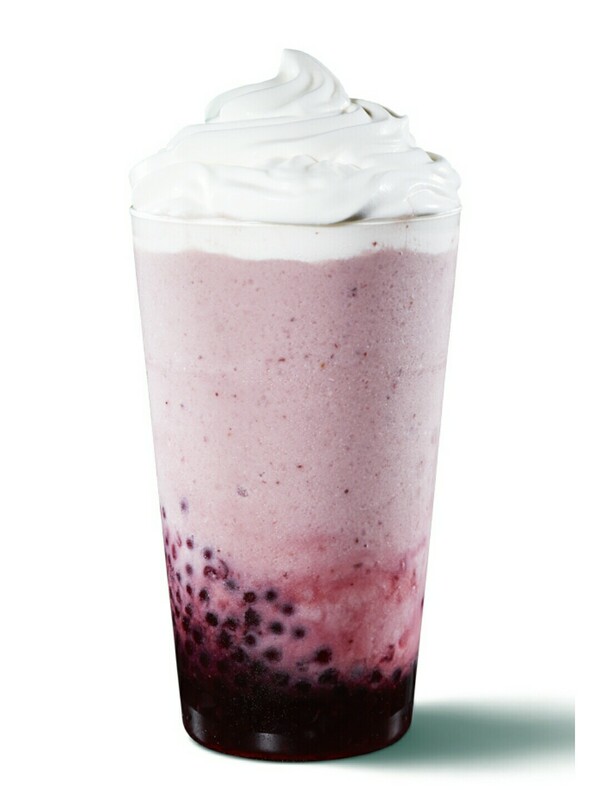 Mixed Berry Frappuccino With Pomengranate Pearls (P170/tall, P185/grande, P200/venti), a drink of mixed berry sauce blended with milk, plus pomegranate pearls and a generous dollop of whipped cream. This drink is only available until June 3. Plus three new drinks for chocoholics! (SPOT.ph) Step outside the air-conditioned confines of your office cubicle for a minute and you’ll immediately feel it: Summer is here and so is the heat it brings. 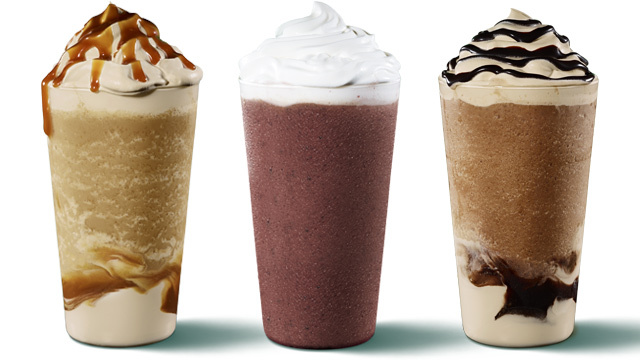 For a quick cool-me-down, you can count onStarbucks and their new Summer drinks, available starting tomorrow, April 9. The non-caffeinated Mixed Berry Frap is a great summer refresher. Whether you love all things fruity or you’re more of a chocolate fan, there’s something for you. There’s the Mixed Berry Frappuccino With Pomengranate Pearls (P170/tall, P185/grande, P200/venti), an uber-refreshing drink of mixed berry sauce blended with milk, plus pomegranate pearls and a generous dollop of whipped cream—a drink that will make you think of chilling poolside. This drink is only available until June 3. 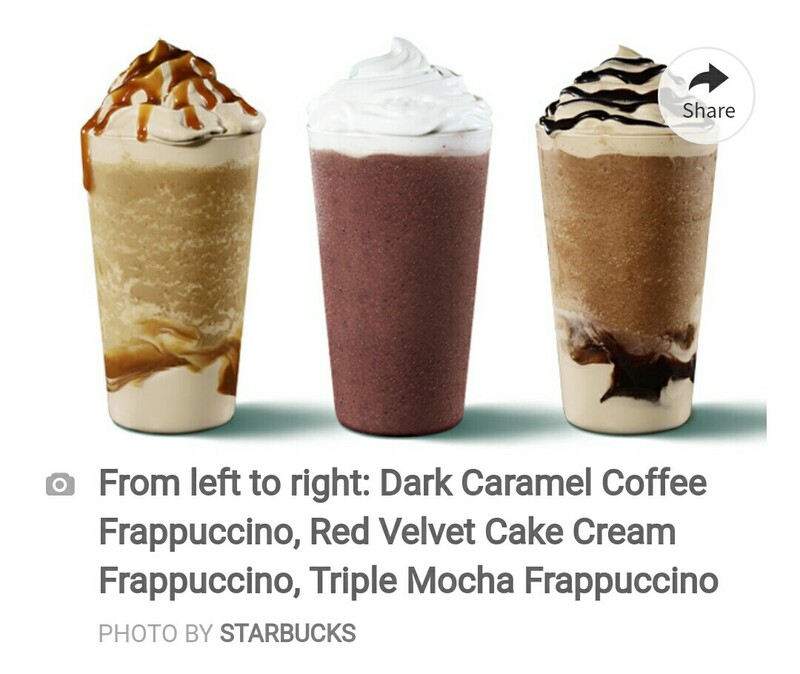 Triple Mocha Frappuccino (P170/tall, P185/grande, P200/venti), a riff on the classic Mocha Frappuccino with layers of dark mocha sauce, whipped cream, cold brew, white chocolate, and dark caramel; and the Dark Caramel Coffee Frappuccino(P170/tall, P185/grande, P200/venti) with a blend of cold brew, dark caramel, and white chocolate. Red Velvet Cake Cream Frappuccino(P170/tall, P185/grande, P200/venti)—Starbucks’ take on the classic dessert has a blend of chocolate chips, mocha sauce, raspberry syrup, and vanilla sauce.